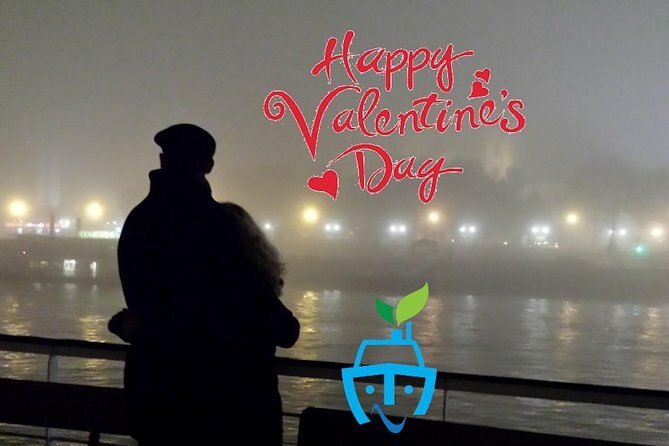 Surprise your most important one with a very special Valentine's Day and bring him/her to our Valentine's day Budapest Boat Cruise! You can choose from multiple dates, the tickets are valide for pairs (2pax)! You can be sure about only you two will seat at a table and enough space you will have to enjoy you each other and the splendid trip. The 70-minutes boat cruise is starting from our port located above of Margaret (Margit) bridge at Szt. Istvan park and you will see all spectacular spots of Budapest between Margaret bridge to National Theatre. You may admire the lovely view of Budapest, the illuminated bridges over the Danube, the House of Parliament, the Buda Castle, the newly renovated Castle Bazaar (Várkert Bazár), Vigado and everything that Budapest can provide between Bridge Margaret and Bridge Rakoczi. The ticket is for two persons (considered as one group) and one bottle of champaign, 2 cakes are included into the price. Our young and nice crew will do everything for your convenience. The rest is on you to make the Valnetine's Day memorable for the two of you. The images are of the actual boat, although some are symbolic. Returns to the departure location.